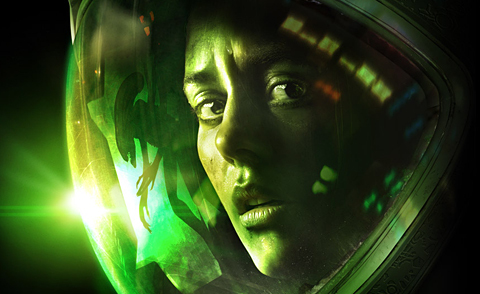 SEGA and Creative Assembly have just announced the release date for Alien: Isolation at EGX Rezzed. The game will be available on PC, PS3, PS4, X360 and Xbox One on October 7th, 2014. The full presentation where Alien: Isolation‘s release date was revealed can be seen at EGX Rezzed’s Twitch channel here. SEGA® of America, Inc., SEGA® Europe, Ltd. and Twentieth Century Fox Consumer Products today announced that Alien: Isolation™, the hugely anticipated survival horror title, will be available from October 7, 2014. Developed by Creative Assembly™, the game will be available on Xbox One, the all-in-one games and entertainment system from Microsoft, PlayStation®4 computer entertainment system, Xbox 360 games and entertainment system from Microsoft, PlayStation®3 computer entertainment system, and Windows PC. We don't even know if it is linear yet. And we don't know if there's any DLC either. And your so wrong about the market, even people in my college in remote Northern f*cking Ireland are looking forward to it, some are Alien fans and some are simply fans of games like Amnesia and Outlast. If the game is good it will sell well. And hopefully the lack of multiplayer will mean there's no braindead COD f*ckwits enter into the Alien fanbase like they did with AVP 2004 and Requiem. OK...we've basically seen a SINGLE core mechanic stretched over an aledged 20 minute demo...still know very little about the rest of the game. Appetite is definitely whetted, though I have my Alka-Seltzer on stand-by. People didn't replay games before multiplayer, really? Im sure many people have replayed point and click games over, but I predict very low sales on this game, simply because with todays market and pirates, thats probably whats going to happen. no online with your friends, no exploring new multiplayer matches, no DLC to look forward to...nothing. I myself have replayed games plenty and I never got online multiplayer until... well Halo: Reach was my first halo multiplayer experience, Modern Warfare 2 was my first CoD multiplayer experience for examples. So for games like Halo 3 or the first Modern Warfare I had no online multiplayer, I just re-played the crap out of the campaigns to my hearts content. I still replayed campaigns after getting online multiplayer, only reason I play more multiplayer than campaign is because that's how I choose to use my free time that is significantly less than it was in high school due to college and more responsibility and stuff, but since A:I only has one mode than obviously it'll be the single player I'll be playing. Multiplay extends the life of a game. Games, especially RPG games have the most replayability and multiplayer while good, is nothing, it's useless plastic once you go offline. Did anyone else notice the difference between the Alien still and the footage of the Alien (about 4 seconds later). It looked to me like the tubes were different, in the still the headrest / middle spike was very clearly seen, but then in the footage it looked as though it was missing and the tubes were longer more like the newer styles seen in the A:R and AvP films. Am I going crazy? It's in the video at 30:30. 61 days before my birthday! Awesome! Looking forward to this. Hopefully I can decide on a next gen system by then. Ah who am I kidding? This in all likelihood will be delayed like all the rest. Ill probably get a new computer before it releases hopefully and get it on pc. or if i cant afford to either buy a ps4 or get it for ps3. im curious as to what preorder/collectors edition will be.. besides a big d*ck in your mouth. Excellent! Can't wait... didn't think it'd be out any sooner. Any word on any versions other than the standard version? I saw that listed on Amazon for Pre Order. Marked it on the calender. OMG yes! Just in time for the Halloween season!